Balancing the Scales by Sharon Rowen at Belmont University campus in Nashville, Tennessee, September 21, 2018. 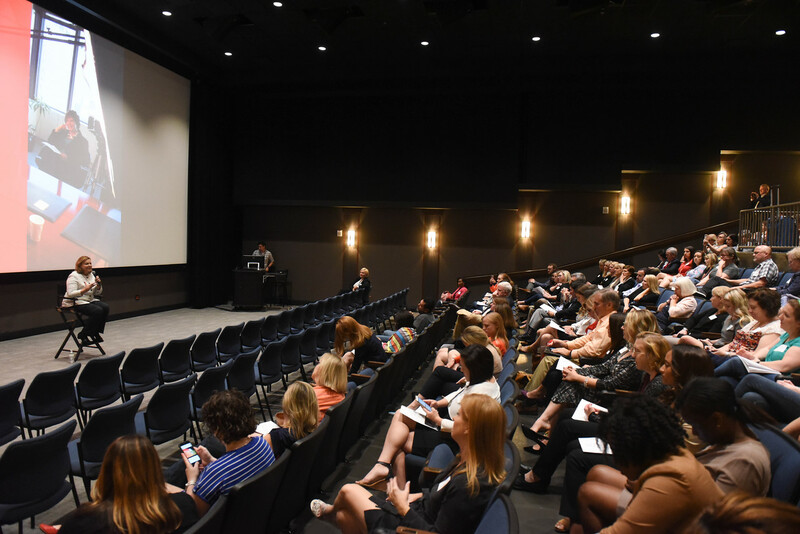 More than 100 Nashville-area attorneys and judges attended a Sept. 21 screening of “Balancing the Scales” in the Johnson Theater on Belmont University’s campus. Based on interviews conducted over two decades, “Balancing the Scales” is an insightful look at the story of women lawyers in America. The interviewees include a broad array of lawyers and judges across five generations, including Supreme Court Justice Ruth Bader Ginsburg, civil rights attorney Gloria Allred, and Roe v. Wade attorney Margie Pitts Hames. Interviews also include state Supreme Court and Appellate Court justices, women equity partners, minority women, associates, and students. The event was hosted by the Marion Griffin Chapter of the Lawyer’s Association for Women and sponsored by Belmont Law, Bass, Berry & Sims, Waller Lansden, and Sherrard, Roe, Voight & Harrison. After the screening, Director Sharon Rowen conducted a robust Q & A session for the attendees.